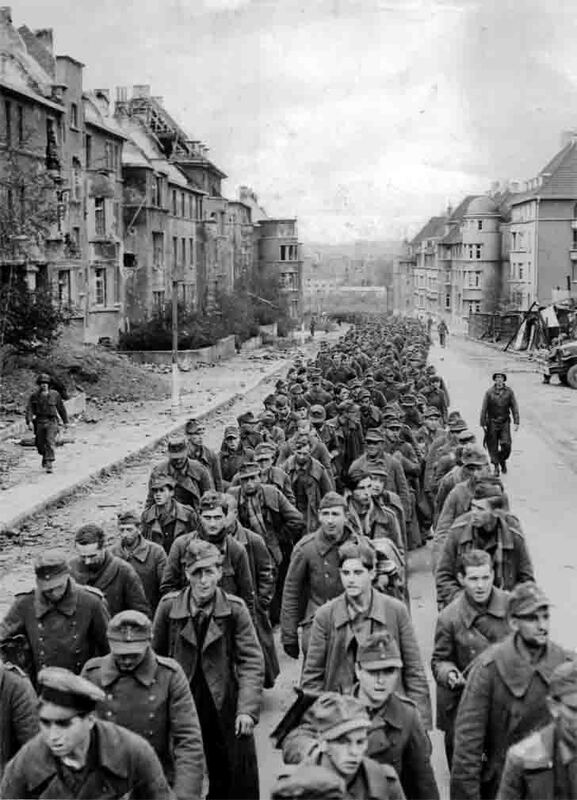 German prisoners of war walking down the street of the city of Aachen. Aachen was the first German city, which is captured by the Allied troops. Aachen was taken by the Americans, after eight days of street battles in the 13-20 October 1944 by the 19th and the 7th corps of General Courtney Hodges (1st US Army) and German troops of General Hermann Balck.